What we are going to do here, is drill a hole into the ballast of a piece of FasTrack and install a micro switch to kill power to a siding. 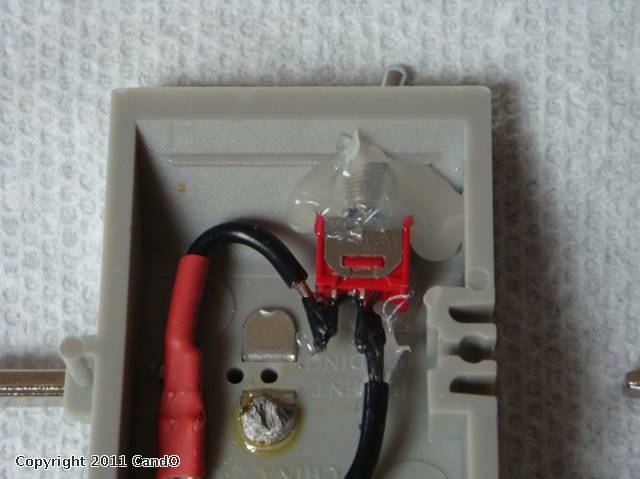 This is a way to have an easy isolated block section without added wiring. This is very useful for carpet layouts and Christmas(and other holidays) layouts. A member of the FasTrack Yahoo! Group posted the idea a while back. I don't want it to eventually get lost so I am putting a post here with pictures. I am currently making a few of these for my Christmas layout so I took some photos. 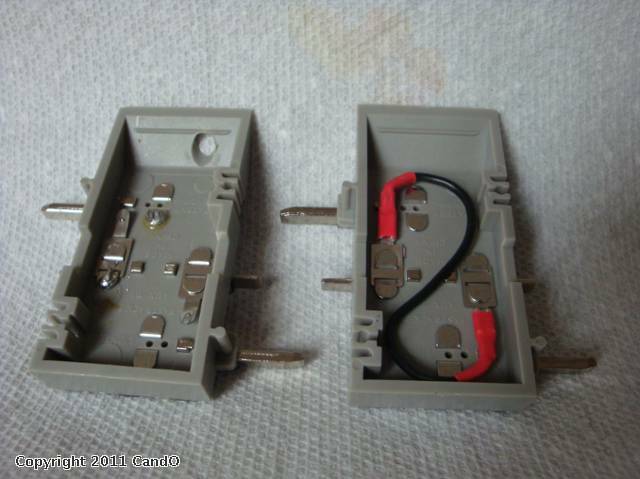 I purchased some micro switches a few years ago for my control panel. Some are Atlas O and some are from ebay. 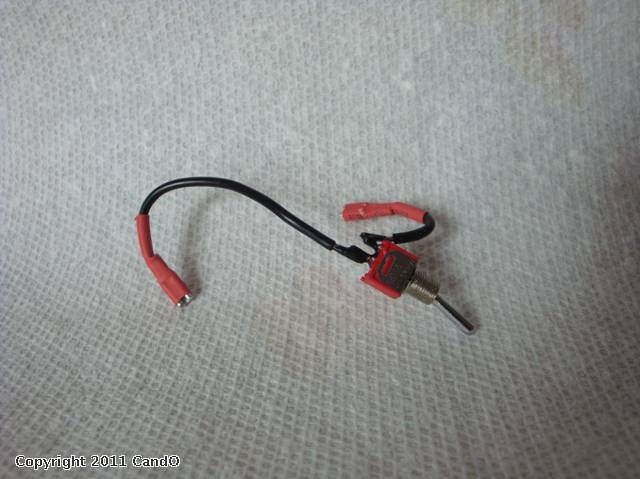 They are 1.5A 250VAC and are nice and small. 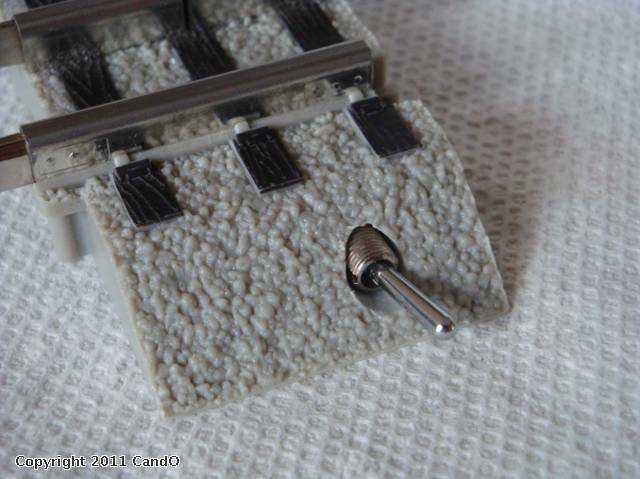 The section of track I am using is one of the small block sections that come with O-60 and O-72 switches...these have roadbed on one side. They can also be purchased separately with roadbed on both sides. 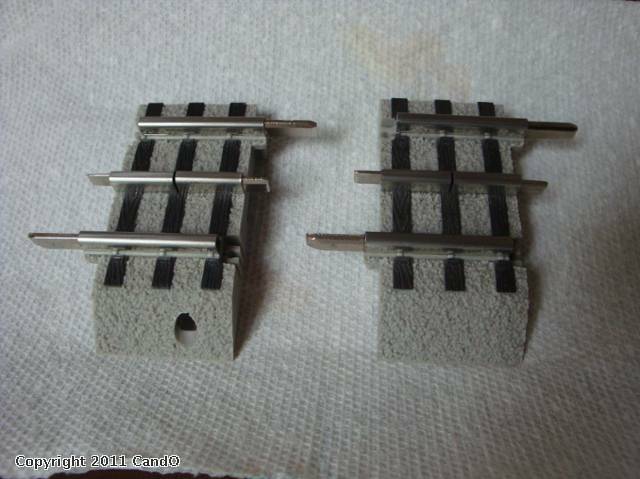 These pieces already have a rail break and a wire connecting the center rail on both sides of the break. 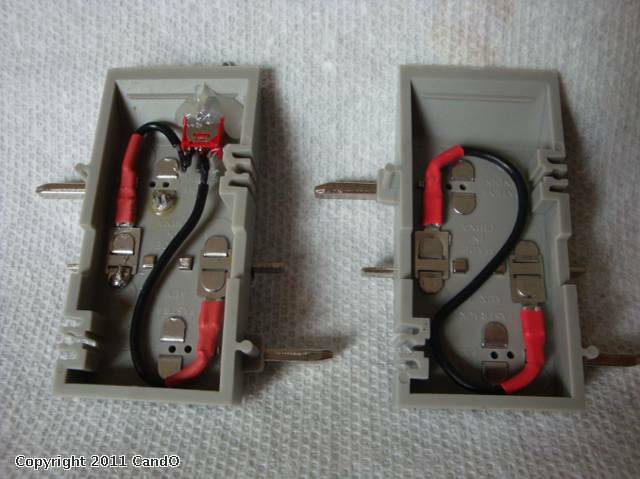 Normally, if you are using it for a block section, you would remove the wire and supply power to the other side. In the following photos a stock piece is on the right and the project piece is on the left. Thanks Mark. It's pretty handy is some situations.